TSMC, not Samsung, to get Apple's A6 SoC production? 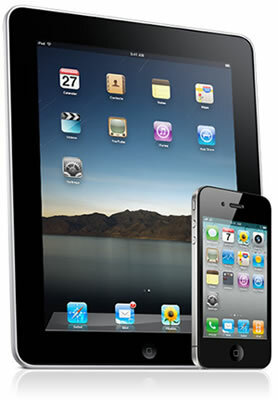 We've been hearing rumors that Apple plans to move A6 SoC production away from Samsung in 2012, favoring TSMC instead. The next generation chip is still a bit far off (the iPhone 4 uses an A4 SoC and its successor is expected to use the same A5 SoC as the iPad 2), but according to a Reuters report the Taiwanese chip factory has already begun manufacturing A6s on a trial basis. If TSMC can produce a decent yield rate it could secure one juicy deal. There are no confirmed details about the chip itself but the A6 is rumored to be quad-core part built on a 28-nm manufacturing process. Samsung has been Apple's sole manufacturing source for A4 and A5 processors. It remains to be seen if the companies would be cutting ties altogether or if Apple is simply trying to diversify its orders while maintaining some kind of relationship with the Korean giant. Considering the growing tensions between the two, and the fact that Samsung is one of its toughest competitors in the smartphone market, some believe Apple is more likely to move its production elsewhere. TSMC is an obvious candidate to win processor business from Apple, as it's the largest contract chip manufacturer in the world and has experience with ARM architecture. That said, Intel is also said to be aggressively seeking business with Apple.